Juan Carlos - . . . It was a great experience here and better than any other dealership. Loved the customer service compared to other dealerships as well. Everyone met my needs and helped me with what I was looking for. Thank you to Shane & Randall for the help & Mari for doing a great job translating. Adalberto Soriano - . . .
Neal Lang - . . .
Great people to deal with. This is my second purchase from them and I hope to make many more in the future. A+ service! Bennie Bethune - . . .
Been dealing with this dealership for about 25 or 30 years. They are the best. Jairo Altamirano - . . . The people that work here are easy to deal with and they will make sure you are well taken care of. Henry Simms - . . . Band Man - . . .
My wife and I have bought both of our cars from LBM. We loved the experience. Joe was super nice, and professional. Kevin and Angie Jenkins - . . .
Carmela our sales lady was very friendly and easy to work with. My husband and I would highly recommend shopping here for your next car purchase. We will definetely be back next time are in the market for a vehicle. Raul - . . .
Al - . . .
was a good experience for us. Good cars on the lot. Carmella and Joe were excellent hosts. Ofelia - Ruiz . .
thank you for all the help from our sales consultant Shane and Mari for translating and a thanks as well to Randall for helping us out as well. Gustavo - Ramos . .
Cynthia Lancaster - . . .
Jeff was very professional and courteous and paid attention to my needs in what price range and types of vehicles I was looking for. He gets a five star from me. Thank You for such a great salesman. Mary Harris - . . .
Carmela Phillips was very helpful, friendly and professional. She is definitely a "people person" and we enjoyed our SUV-buying experience with her. Morgan - . . .
My dad and I were shopping for a great car to take with me to college 6 hours away. Lowery Brothers is the perfect place to buy a car. You definitely want to shop here first. Marlena - . . .
Carmela Philips helped us get a 2013 Nissan Armada. She is wonderful and helped us get a great deal and even upgraded the seats for leather. Everyone here is Friendly, but Carmela is the one to see! C Graham. - . . .
Fast, easy and as promised. In and out in under an hour. They worked hard to deliver what they said they would. Jen Smith - . . .
Great customer service, very accommodating. Carmella is an excellent sales person and I would recommend her to any one. Stacey - . . .
my sales lady Carmela Phillips was awesome! she put me in a great car for a price you cant beat! I will buy from lowery brothers again!! Bryan Bruce - . . .
Kerry - . 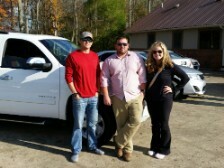 . .
Lowery Bros had the vehicle I wanted at the best price in the state. Anthony was easy to deal with and we reached an agreement in record time. The issues that were found were promptly taken care of. I would highly recommend them for anyone interested in a used vehicle. Happy Customer - . . .
Mike (GM) and Don were wonderful with me. I felt like I got an honest opinion about the car I bought. I will bring my son back here in a few months when he graduates. I will recommend these guys to everyone I get a chance to. They gave me the best rate and honest service. Mcalpin Family - . . .
his was hands down the best car buying experience I have been through. The salesman Kevin was extremely helpful and did the best he could to get us into the car we wanted for our family! The whole process was done in a timely manner and I will definitely come here for my next car purchase and recommend them to family and friends ! Hollie Plunkett - . . . I really appreciate all the help from Kevin Day and Frenchy Paz! I came in on a cloudy rainy day not expecting much, but in the end came out with an amazing and affordable car and excellent service. I can't thank Kevin enough for all that he has done for me today. He is a wonderful salesman and great at what he does. I couldn't be happier! I asked for a budget and Kevin took good care of me. Now with his support and help I have a great car for going to college and work with. Thank you so much Kevin Day!! God Bless and have a great day! Dera - . . . The customer service was great! 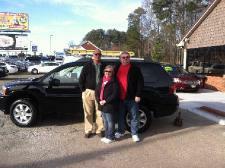 Carmela and Kevin were very friendly and exceptionally helpful! Alan - . . .
Easy going, no hidden fees or surprises! Carmela Phillips took great care of me. in and out in 2 hours. Chris - . . .
Chris and everyone at Lawry brothers did everything they could to match us with our price and also to get us in the vehicle of our choice!!! Go chris!!!! Your patience and hard work is very much appreciated!!!! Bradley S. - . . .
After Searching for several months online, & at Dealerships across the state. I was finally found exactly what I was looking for thanks to Kevin Day at Lowery Brothers Motors. As soon as I stepped on the lot I seen that the Toyota Tundra I had called about. was pulled off the line and had just been washed. I Test Drove that truck and one other the same year model. I'm now about to pull off the lot with my New 08 Toyota with a smile on my face. Wade S. - . . .
My sales person, Chris, was great through the entire process. From the time I stepped onto the lot, he was very attentive (but not too hovering). They made the process of purchasing a vehicle a pleasant no pressure experience. I would highly recommend this dealership if you are in the market for a vehicle. Holly - . . .
We had a great time in the dealership, everyone was very friendly and nice. We had an awesome experience and we defiantly recommend to our friends and family to come see the great folks at Lowery Brothers. Kyle Robbins - . . . Came to look at cars for my wife. Don met us as soon as we got out of the truck. He was very knowledgeable about every car she looked at!! He didn't hover over us, he gave us time to look at everything we needed to look at. Best salesman we have ever encountered!! Definitely, will buy another vehicle here in the future! Steve Adams - . . . I was very impressed with the quality of service in purchasing my used vehicle. Kevin Day was an excellent help in selecting a vehicle and providing me with all the information I needed to make a good decision. I pointed out a couple of minor issues and the dealership pleasantly offered to take care of the items at no cost to me. I will come back and purchase another vehicle in the future. Donnie Lester was wonderful to work with. We found the car online and were very pleased with the honestly and helpfulness on the phone. They worked with us over the phone on the price and details of the car. Would definitely recommend and were easy to work with. Karen - . . .
Steve "Bird dog" Reaves is a great sales person! Great experience buying a vehicle. Fast and efficient. I am a very satisfied customer, again! Presley Jackson - . . .
We came to Lowery Brothers to look at cars. 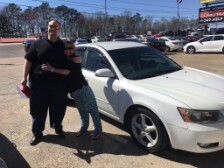 Kevin helped me find the perfect car, Kevin went above and beyond to help us get financed. Kevin made sure that they gave us a clean car before we left with it. Kevin is an awesome person and cares about his customers. I recommend you buy your car here and ask for Kevin to help you find yours! Kelly - . . . I am SUPER thrilled with Lowery Brothers AND Kevin Day! No pressure, no hiding. I was even able to take the vehicle to a mechanic over an hour away to get it checked out before making the decision to purchase. Everything was done to get me the best price and payment... Everything, down to the smallest vehicle issues are being taken care of before I take it off the lot! The only snag I hit was quickly resolved. I couldn't have asked for a better car buying experience. If you want a great car at a great price, Lowery Brothers is worth your time, even if you don't live in the area! Jennifer Little - . . . I recommend Lowery Brothers Motors to everyone! It was an easy and great car-buying experience!!! Margaretta - . . .
Nancy Hawk - . . .
CARMELA WAS A GREAT SALEWOMAN ! Steven W - . . . Very friendly, great to do business with. No pressure to buy, let me test drive the vehicle as long as I wanted and fixed the one problem I found. would highly recommend. Nancy Mac - . . .
Donnie Lester was so very helpful. He answered all my questions and worked out my financing with no stress involved. Everything went smooth and I was in my car in no time! Donna - . . .
Anna - . . . I had an awesome experience doing business with lowery brothers. I will recommend every one I know to do business with lowery brothers. Thankful for an awesome experience! S.Wood - . . .
We were looking for a Convertible and found one on their website; from the first call our sales person Don Guest was awesome and very helpful. He was very helpful and courteous! 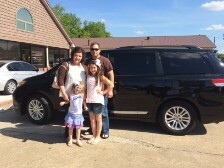 We were very pleased with our experience and the vehicle we purchased. John Eric Gober - . . . I had a great experience buy from the lowery brothers. everyone was very helpful. the process went smooth and fast. Lisa B. - . . . Working with Kevin Day to purchase my new car was an awesome experience. He made the process of choosing and buying our car as easy as possible. I will definitely buy all my future cars here and refer Lowery Brothers Motors to all my friends and family. Christopher Short - .  . .
Kevin Day was outstanding, Kevin went out of his way to provide excellent service while I was searching for my wife a vehicle, Kevin was patient and knowledgeable about every vehicle that we were considering and trust it was a lot. Kevin was professional straight down the line and was honest about ever issue on the vehicles we looked at. I would highly recommend Kevin Day as a outstanding sales associate to contact for your next vehicle purchase. Love this place. Regina - . . . This will be my third car purchased from Lowery Brothers. My family has also bought quality cars from here also. These cars are quality vehicles and have lasted a long time trouble-free. My last car was totaled in a car accident, so therefore I'm back to Lowery Brothers to replace it. I am confident when buying from this business. Candace Pack - . . .
Ashley - . . .
As soon as we stepped on the lot we were quickly greeted and helped the whole step of the way. Sybil - . . .
CARMELA AND KEVIN DID A GREAT JOB MY EXPERIENCE WAS WONDERFUL LOVE MY VEHICLE !!! BUYING A CAR FOR MY SON BUT LOVED IT SO MUCH I AM KEEPING IT FOR MYSELF HEE HEE !! Regas - . . .
We have been searching every corner of Alabama and parts of Mississippi for the perfect family vehicle. We wanted to feel good about the vehicle and especially the service we received in buying this big purchase. We found this vehicle and talked to Kevin about it. He was awesome. Kevin was available for our every question. He made us feel comfortable during the whole process. We will definitely be coming here for future purchases. 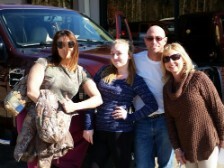 Thanks to Kevin we are driving home in our new family GMC YUKON XL! David Sellars - . . . FANTASTIC experience! Great car with a great value for the money, a quick and painless experience. 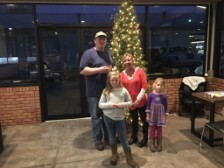 Our family has always had a great time doing business with the folks at Lowery Brothers and will always recommend that our friends and family come here FIRST before even looking anywhere else. These guys are awesome! Sandra Mcclendon - . . . Wonderful experience with Mr. Don Guest and Lowery Brothers Motors. We are a repeat customer and recommend them to all our family and friends. Jessie - . . .
we have really enjoyed our experience. we were greeted as soon as we arrived and helped immediately. everyone was so nice & helped out in any way possible. we will return in the future for any more services we need. Justin - . . . The buying process was great and the service was awesome! I have bought my third used vehicle here and I have never had one problem! I would recommend coming here to get a vehicle to anyone hands down! lowery brothers is the number used car dealer in Alabama! Jim B - . . .
Steve was the best! I would recommend this dealership without any reservation. Madison - . . . Excellent service. Worked with a great sales person. All very friendly service couldn't have asked to deal with a better company or Kevin. Also done everything to help us out and make it all an easier transition. CLG - . . .
Kevin was very helpful in the helping us to select a gas efficient vehicle. We were very pleased with the choices that Kevin had given us in the choices of vehicles. Being first time vehicle buyers, he explained all of the paperwork to us in a way that we could understand. He was very friendly and helped us pick the vehicle that was best for us. Dawn T. - . . .
Great experience here! Everyone was very nice and very helpful! C. Weems - . . .
wonderful, understanding staff. will work with you to get you what you want to be in. Kevin Gilliland - . . .
Kevin was a really good server, he explained everything well. Got along very well with us, and felt like we were talking to a friend we knew from a while already. Over all the service was at it's five stars! Great service Lowery Brothers!! Greg - . . . I could not ask for a smoother experience with the sales guy Kevin! When I came in to sign the paper work, it was as smooth as I hoped that it would be. If you ever go to Lowery Brothers Motors you MUST Have Kevin assist you with your car buying needs! Zion Artis - . 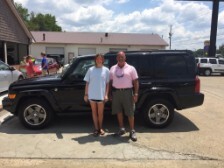 . .
Frenchy Paz was very friendly,and we was very please with the transaction with the sale. I would recommend other to shop here. Crystal Hill - . . .
Frenchy assisted me through the process of buying a new car. He was genuine and easy to talk to. He always answered and returned phone calls in a timely manner. I also had my young son with me and Frenchy helped me keep my son occupied throughout the process of paperwork. I couldn't have asked for a better salesman. Lowery Brothers benefitting greatly when Frenchy joined the team! Crystal - . . . I have always dreaded car buying because the process can be stressful. The staff at Lowery Brothers Motors was so professional and courteous! They made car buying a breeze. I was amazed at the helpfulness and how friendly everyone was. Carmella was exceptionally helpful! I would defiantly recommend them to anyone and everyone I know. 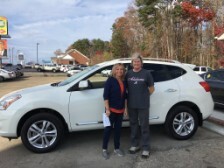 The dealer and the finance manager worked with me to find a vehicle that was comparable to what I was looking for and worked diligently to find me the best deal possible. Kevin worked hard to find me a deal. Great salesman and overall service. Buying process very easy. Chris Young - . . . I came in and was a lil ill about another car lot and i was glad i left there and came here because they were great. The best place in the town to get a car they will help anyway possible. Andrew Meeks - . . .
Ashton Power - . . .
Kevin Day and Frenchy Paz helped me out wonderfully! I recommend Lowery Brothers Motors to anyone! Love the vehicle I purchased. Excellent experience! I had a great experience purchasing my Tahoe. Paul Stanford answered my email's quickly and was never pushy as some other dealership I talked with. I definitely will recommend this dealer. Thanks again! Karedia - . . .
t was a wonderful experience it went quick and easy, I got the car that I really wanted. I did not come to buy a car yet I ended up getting one. Kevin was real nice, friendly, and a professional outstanding salesman. 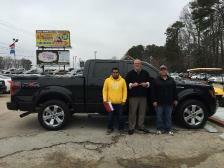 I bought a 2007 Ford F-150 at Lowery Brothers Motors. I love everything about the process. The saleman was friendly and knowledgeable, and the finance manager was amazing. They did everything to help me when no one else could. Thank you so much. Greg Morrison - . . .
We came here to buy my oldest son his first truck. The prices were great and the staff went out of their way to accommodate us through the negotiation process. I would recommend Lowery Brothers to friends and family. Our salesman was Frenchy Paz. He did an excellent job! Josiah and Erin - . . . They were very nice, helpful, and understanding. I would recommend them to anyone. great sales team. extremely helpful. worked hard to get me a great deal!! Meranda Grady - . 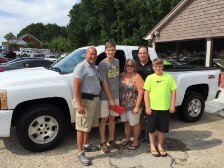 . .
Want to thank Keith Shelton for his help in my son buying his first vehicle of his own. Great Sales Man and very helpful!! Conchita Pollard - . . .
Mark Harper - . . .
Jim and Robin - . . .
Kevin was friendly and very helpful from the time we stepped on the lot. The overall experience of purchasing our vehicle was a pleasure. The price was excellent. Thank you Kevin for a very nice experience with our purchase. Hope all your sales personel are as helpful as Kevin is. Anilee Griffin - . . .
Steve was awesome and very helpful. He told me the truth and was very direct no beating around the bush. The process was quick . Everyone was so friendly. I called up to Lowery Brothers before i came and i talked to the general manager and he told me as soon as i came to find him and he would help me out. He greeted us with a smile and friendly handshake i really felt at home! I am really glad me and my fiance made the drive to come up here we are so happy. I had a great experience! I absolutely love my new car! Ashley C - . . . This had to be the fastest car buying experience I have ever done. I had a credit application and approval within the hour, came back a few hours later and everything was ready to go just had to sign. They worked with me on an affordable down payment and something that worked for my family. Donnie the sales guy was great and very friendly. I will recommend him to anyone that is in the hunt for a car. Thanks!! I spent months looking for a used truck, and finally found what I was looking for on cars.com at Lowery Brothers Motors. IT was a 2004 Dodge Dakota club cab. What sold me was the condition of the truck, the low miles, and the awesome service at Lowery Brothers Motors. Car owner and saleswoman Tammy Rowan Are the most honest people around good service, best pricing. My future vehicle will only be bought at lower brothers motor. Need a car lower brothers is for you if you want true service and honest and best Prince. By sean brown. Jessica - . . . Excellent experience and service, could not ask for a better experience and customer service! Tonia Judd - . . . This is our 5th vehicle from here! Would not go anywhere else for a used vehicle. Don is Great! lhoge - . . . The workers were extremely polite and were very helpful during the car buying process. Robert King - . 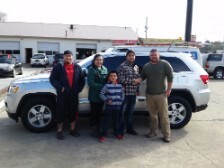 . .
Our over all experience was great at Lowery Bro Motors!! Chris was extremely helpful. We would surely do business here again! Brooke and Justin - . . . Salesman were very nice. Excellent service. Fast and easy dealing. Traded for a 2010 Honda Accord. I love it. The salesman was friendly and always answer my calls. Love Paul the fiance manager too. These guys really try to help you. 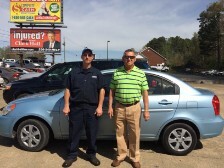 I bought a 2007 Toyota Camry Hybrid from Shelly at Lowery Brothers. I received the best service I have ever received at a car dealership. They went above and beyond my expectations in every way. After the sale, I had a problem with my air conditioner. I was provided a loaner car, and my car was repaired in 2 days. To my surprise, there was no charge. Wow. A used car dealership that stands by their product. These places are hard to find. I will buy my next car from Lowery Brothers. Great service, Awesome salesman. Wasn't pushy, vehicle was in top shape with a reasonable price. Chris Jones - . . .
Marcus Champion - . . .
100% satisfied with my experience at Lowery Brothers. Carmela was very professional and answered my questions with friendliness and accuracy. Will be shopping here again when looking for another vehicle. Joey - . . . Outstanding service, Very Honest, Will recommend everyone shopping for a vehicle. This should be the only dealership you need to get exactly what you are looking for. The only place I'll ever use and recommend to others. I have purchased 4 different vehicles from Lowery Bros and still have all 4 will go back again when I need another one. Have used the repair service everything went smoothly and repairs were done properly and no trash was left in my truck when they were finished. They called me to let me know what repairs were needed and when the repairs were finished I never once had to call them. The sales staff are very friendly and professional. I will definitely recommend them to anyone looking for a used car. Katie - . . .
Great salesman service from Kevin Day. Went above and beyond to help with everything! Thank you!!! Howard Piper - . . .
great service friendly people and most of all trustworthy. Carmela Phillips and the GM manager , was amazing and worked with us till we was satisfied. very good people here, I will l defiantly buy my next vehicles here in the future. Shannon Morgan - . . .
John - . . .
Don was very kind and never intimidating. He answered all my questions and helped in every way he could. I appreciate the way they handle business here. I just recently purchased a 2005 Chevy Colorado, must say this is one of the best most effortless times I have ever had purchasing a vehicle, Ricky Otinger was my salesperson and a good one at that. I had no problems what so ever, and I give them a A+++ all the way around for service, attitude and just all out good nature. To sum it all up I will buy from them again and would recommend anybody needing a vehicle to check them out first. I called about a 2003 Dakota I saw on cars.com. The salesman told me the truck was immaculate. It was that and more. The guys at Lowery Brothers helped me so much. My son needed help getting a truck and they helped me so much. I will buy my next vehicle at Lowery Brothers. The sales staff at Lowery Brother motors was very professional and accommodating. The service was excellent. Erika C - . . .
Tom Howard - . . . Loved the professionalism of our salesman Carmala. Inventory was great also. This was a really friendly and helpful group of people to work with. They really went out of their way to make our buying experience great! 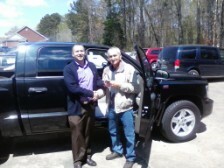 Bought a 2006 Dodge Dakota Saturday at Lowery Brothers. I have been everywhere looking for a used truck. I do not have the best credit and needed help. With no money down, I got into a beautiful truck and a payment I could afford. Thanks you guys so much. TLT - . . .
service and financing assistance above and beyond my expectations!! Linda - . . .
overall great experience love my new car. 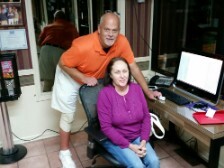 Wayne Holcomb was able to help me in my buying process. Alex - . . .
Anthony was great as well as the rest of the staff at Lowery Brothers!!! We will be coming back for another car ASAP!!!!! Wally - . . .
Leslie and Scott - . . .
Chris was a great sales person he really did a great job helping us find the perfect car and took really good care of us!. We are super excited about the purchase of our 2007 Cadillac CTS. Alejandro Francisco - . . . I have now bought four vehicles from Lowery Brothers and Kevin Day and I won't ever go anywhere else. The prices are always fair and Kevin is helpful in getting my deals done in a timely manner. He is always professional, nice, and easy to deal with. Gail Wagner - . . .
We love our car, and Chris and Carmela helped us with everything. They were good and very respectful to us. Tamara - . . .
Before our purchase, we shopped around for a very long time. During our initial visit to Lowery Brothers we were helped by a very nice man who gave us any and all information on several vehicles that we looked over. We weren't ready to make a decision that day, so he gave us his card and said to come back when it was time. When I looked at the card I was shocked to see we had been working with the owner!!! He never once pushed us off on another salesman, or even rushed us at all. This meant so much to us then, and still does. I continued to watch the website and once we found something that peaked our interest, we returned to the lot. Without "dropping" the owner's name, we were instantly treated with the same respect and courtesy. Never once were we given an indirect answer, and Ricky (our salesman) was more than helpful. We made our decision and he went above and beyond to finalize our deal and walked us through each step. We are so grateful for the honesty, sincerity, and hospitality at Lowery Brothers. These are great guys and I will recommend them to everyone! After shopping sereral lots, I drove up to Lowery Brothers. I was actually referred to them by a co worker. The salesman quickly got me approved on a beautiful 2011 Nissan Maxima. I love my car and would recommend anyone to the nice gentlemen at Lowery Brothers. We have bought 3 cars from lowrey brothers motors. We loved every car. We have never had a problem with them. They've always took care of us. They make you feel welcome . Very pleased with our car shopping experience!!! Shelia - . . . I would have to say that I received excellent customer service from Lowery Brothers Motors and Carmela Phillips, whom sold us our car. She was very friendly and helpful. I would say she is a very excellent car sales person. The buying process here at Lowery Brothers Motors was very easy and efficient. I am very happy with the car that I purchased here and the service I received from all the staff. Kristy - . . .
Come on down to Lowery Brothers and get the best deal in the South! Ask for Anthony; the customer service he provides is top-notch! I promise, you will not be disappointed. We were 100% satisfied from the beginning till the end of the process! Jacob Bain - . . .
Rhianna Payne - . . .
Great Service! Frenchy Paz was very accommodating and helpful! They worked with us and helped us find the perfect car! Valerie - . . . The employees at Lowery Bros. satisfied all my needs and were very helpful. Jessica Mcarther - . . . Awesome customer service from Keven Day and Jared Whaley! Allen - . . .
Our experience was nothing short of excellent. Great purchase very easy. David - . . .
chris was very helpful and polite. highly recommend chris and lowery brothers. 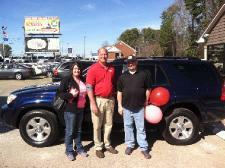 I just bought a vehicle from Lowery Brothers Motors and had a great experience with great service. Service was excellent and everyone was attentive and friendly. They were very knowledgeable and very professional. Whenever we need another vehicle we will definitely go back to Lowery Brothers. Wonderful just Wonderful. Love the experience and my knew Explorer. Laura Price - . . . It was the best buying experience I have ever encountered. Mr. Don Guest treated me with nothing but respect from the very first time I called until I drove away with my new-to-me car. Casey/Stanley FUller - . . . I was surfing the website inventory and sent in an inquiry about a Tahoe and ended up having a salesman Named Kevin call me on a Sunday reqarding the Tahoe and he told me about some other vehicles that he thought I would be interested in. I came to the lot on Monday and found a vehicle that fit all my families needs. Brad Miller - . . . The sales representative for Lowery Brothers was very helpful and showed me many options after I informed him of what I was looking for. After looking over several options, he worked with me and the finance department to ensure that I was satisfied with my decision while remaining comfortable with my payment. They are so friendly and willing to help you as much as they can in order to get you approved at a good rate. They have warranties for their cars at no deductible. They clean your car before you leave the lot and will even fill up your tank. Awesome experience and great cars! -Don -Mike -Chris Were all very friendly and helpful. Kim Lemons - . . .
Keaton - . . . The people here were very informative and helpful in the car-buying process. I am satisfied with the service, facilities, and the buying process. Jonathan - . . . Satisfied Buyer - . . .
i was looking for a car and found it here at lowery brothers. they were fast friendly,and seemed like they wanted my business. Don't bother with all the other dealers just go to lowery Brothers and see why I bought my car from them. AudreG - . 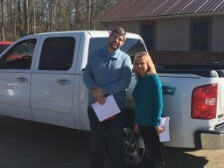 . .
We loved our Truck buying experience! Everyone was so helpful, and welcoming. We will definitely be back for our next vehicle purchase. Very helpful to a personal situation. very nice facilities and good prices. My salesman Ricky was very helpful in every way. He made sure I was happy before I left and also helped me with things after I had bought my vehicle. The whole lowery brothers team was very nice and respectful in every way. I will be sure to send my friends there. We traded a 2012 Chevy Sonic in on a 2004 Ford Mustang GT. We traded ours to get a better monthly payment with a better interest rate. We got exactly what we wanted. Jeff Stevens - . . .
Carmela was great. We were from out of town and made the process extremely smooth. Kenny/Joanna Bradberry - . . .
My experience with Mike was an easy one; with no hassle and nothing hiding, the entire meeting was good. Though we were unable to purchase a vehicle; the experience was a learning one. Cody - . . .
Everyone was extremely friendly, Kevin was outstanding with helping everyway possible for us to get the vehicle we wanted. We will be recommending everyone we know. Keith Strong - . . . I really enjoyed shopping at Lowery Brothers, I saw the car on the website and Chris gave me a call and I was down there within the next 2 hours. 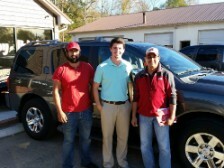 They went above and beyond to get me my vehicle and worked with me throughout the process. I bought a 2007 Mitsubishi Eclipse from these guys. The worked hard to make sure I was satisfied. After the purchase the air conditioner went out. I called them and they are repairing it for me at no cost even though I declined the warranty. I will be purchasing from them in the future. Linda Lyles - . . .
great customer service and very informative about the cars we were interested in. Took care of all concerns we had. We were real pleased with our financing. Sonia Meadows - . . .
We had an awesome experience. My salesman went out of his way to do what it took to accommodate my needs.We were very please with the whole experience. Jason Reynolds - . 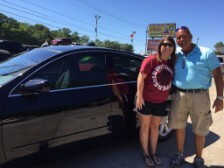 . .
Mike and Shelly helped me through the process of choosing a car that is perfect for me. I wasn't sure what kind of car I wanted, but they knew the car I needed. It not only was a prefect fit for my lifestyle, it was also affordable. I was so happy with the service I received that I sent my baby sister to them for her car needs. Now we are both driving great vehicles. I have no doubts that my entire family will be shopping Lowery Brother for generations to come. They're a dealership you can trust. At Lowery Brothers Motors we are proud of the quality used cars we sell and our dedication to serve the needs of our customers. This is reflected in the amount of repeat business we receive. Whether this is your first purchase with us or one of many that you’ve had, you can count on our dedicated sales staff to make it the best buying experience possible. They worked with us numerous times on working out kinks in a vehicle we had. When we were finally able to buy another car they went above and beyond to get us into a 2011 maxima! By far the best car we have ever owned. Great customer service & did everything they could to make sure we were happy! Randal & Justin are very professional & both went above & beyond. We will only buy from this dealership in the future & would recommend them to anyone looking to buy a great used car. Anita Gasaway - . . . I came in not really expecting to leave in a car , but thanks to Kevin I got to drive my car home!! He was very helpful when it was a matter of choosing a car that is what I needed and in my price range. Thank you so much!!! Josh Herring - . . . The overall buying process was easy working with Don. Good Experience and would buy here again. AWESOME! was greeted immediately upon arriving to Lowery Motors by MR. Don Guest. I explained my situation what I needed, What I could do and he went to work and I am now a proud owner of a Pontiac torrent. Got to revisit some old times. Mr. Guest was known to me years ago and I would like to say he is pleasant, friendly and very easy to approach. I was nervous and that disappeared immediately with Don. THANK YOU DON and THANKS TO LOWERY MOTOR'S. I Had to tell the story of remembering the Lowery Motors commercials on WGAD RADIO in the mid, late 80's. I came in today without a vehicle, worried and nervous. I am leaving a woman with car I can depend on and the man who sold it to me was heaven sent. THANK YOU!! its not enough for Mr. Guest. God Bless. Bought a VW from Shelly at Lowery Brothers. He was very helpful and did everything he could do to help us. Paul, the finance manager, was very knowledgeable and provide helpful assistance. If you ever need a great deal, and help getting a great interested just call these guys. Absolutely amazing! Lockhart - . . .
Chris was a very helpful Salesman, he made the buying process very smooth. There were no gimmicks or issues during the whole thing. 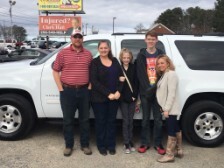 After visiting many dealers, we found exactly what we wanted, for the price we wanted at Lowery Brothers Motors! The friendly staff made us feel welcome without the hassle. Don Guest helped us find exactly what we were looking to buy! We will be returning customers for all of our car buying needs. was looking for a GMC Yukon xl or Chevy Suburban put in find this SUV with in a 100 miles a lot of dealer came up Lowery Brothers Motor was the only ones who had 5 stars rating. Had been looking for about 2 weeks,everybody else was just running my credit and saying they had it but, they did not . So when I talked to Kevin I explain to him what was going on give all my information (he said give me 15 mins. and I will get back with you) he called back in 5 sending me pictures. He said look I am going to do a soft credit check to see where we are at it take about 15 mins to do. He did not call back his boss called me and my wife back to talk to us. I am so glad we find Lowery Brothers Motors they treated me and my wife like family this was the best filling I have had in a long time about a car dealership. No pulling your leg. I will recommend them to anyone. Brian - . . .
Chris Capps was excellent to deal with. 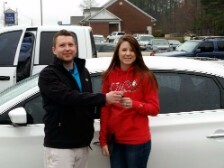 The overall experience of buying a used car was easy and we are pleased with our purchase. Jeffery Parker - . . .
Rigoberto - . . .
Lowery Brothers Motors has the best customer service I have ever seen. The staff is super friendly and helpful. Chris went above and beyond to help us get our new vehicle. I wouldn't suggest going anywhere else. Paul Saint - . . .
carmela was very understanding and helpful of my needs. I wanted a certain vehicle and she was very considerate. J Cornelius - . . . The total buying experience was great. From the first test drive until we bought the vehicle, all questions were answered. I would recommend Lowery Motors to anyone needing to purchase a clean used vehicle. Ronald Berry - . . .
Great place to buy a car. Very friendly knowledgeable sales staff. My sales person was Don, was one of best experiences had buying a car. Would recommend Lowery brothers to anyone in need of a car. Ben Ingram - . . .
Craig Scott - . . .
Great group of folks and easy to work with. 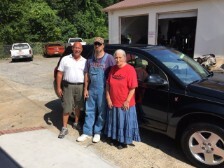 This is my third vehicle purchase from Lowery Bros and Carmela was very friendly and helpful. Rodney B - . . . Very pleased with Chris and the way he took the time and effort to get me in the truck I wanted. Also, the credit team worked hard to get me the best possible rate for me which meant a monthly payment that fit my budget. Thanks to everyone at Lowery Brothers for making what is usually a miserable experience, one that was very pleasant. I'll be back for future purchases. Misty palmer - . . . It was a great experience and I would definately recommend this dealership to a friend. Jaime Dixon - . 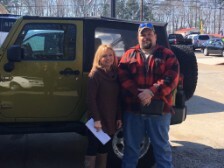 . .
My son was set on a jeep and I am so glad that we went to Lowery's because they had a perfect vehicle for him. It wasn't a jeep; however, it was much safer and more reliable for him. I want to thank all the employee's for they smiling face and friendly attitude. 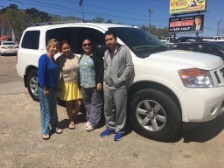 Especially, Carmela for going above and beyond with helping us find this perfect vehicle and doing all the work to make it possible so we can give this vehicle to our son. Shane Tidwell - . . .
Everyone has been extremely helpful from the moment I initiated the chat until we drove off the lot. Mike C. - . . .
Shirley Mirks - . . . So glad I came to Lowery Bros. they are all great people that care about the customer!! Special thanks to Carmela Phillips, you are great!! Steve Johnson - . . . Worked hard and did well for me, Carmela Phillips made sure to take care of the needs on the truck. Had good costumer service over the time I had to wait. It's a place for anyone to have a Good experience in car buying with good vehicles and prices. Bob and Martha Gaskill - . . .
Jarrod - . . .
Great service and friendly staff. Wonderful experience and a great deal on the vehicle. Phyllis Blakely - . . .
Carmela Phillips was a wonderful and sweet person to work with. I will definitely be telling everyone about y'all. Mark Chapman - . . .
Kasey - . . . Went to Lowery Brothers looking for a car.Salesman Kevin Day Helped me and my family get in the right car for us at a great affordable price. Highly recommend this used car dealership to anyone. Willie - . . . I put in an application online for a Ford Mustang and was contacted by Kevin Day. Right away I immediately fell in love with Lowery Brothers Motors. Kevin was very friendly, honest, helpful, and direct through-out the process. I received a great package deal for this marvelous vehicle. I recommend this dealership and salesman to everyone looking to get a good deal. Carol Williams - . . .
Lowery Motors made buying my dream car a dream come true! Allison Johnson - . . .
Frenchy Paz was very friendly and had great customer service. Great dealership to work with and a wonderful buying experience. S Kilgore - . . .
Me and my Fiancé was in the market for 2 vehicles. We stopped by just to look and inquire on a vehicle that was on the lot. A sales lady by the name of Carmela Phillips assisted us. I told her what we was looking for and what we was willing to spend, she said we can help you. 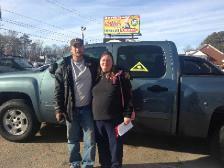 To make a long story short we both got the vehicle we was looking for and very good service. I would highly recommend using Lowery Brothers. Lewis and Laqueita - . . .
Soledad Cortes - . . .
Carmela was of great help, patient, and super nice! Great personality. Lacey Blackwell - . . .
My sales man Carmela Phillips was a great help in my car buying experience. They are great at Lowery Brothers in trying to help with any situation. I recommend them highly. Amber Whitlock - . . .
Steve went above and beyond our expectations to help us get into the vehicle that we wanted. He even called and checked on things regarding the vehicle on his day off to ensure that we were well informed and happy with the process. Ms Smith - . . .
William Watkins - . . .
Carmela was very helpful. Thank you very much!!!!!!!!!!!!!!!!!!!!!!!!!!!!!!!!!!!!!!!!!!!!!!!!!!!!!!!!!!!!!!!!!!!!!!!!!!!!!!!!!!!!!!!!!!! Kenny - . . .
Carmela helped me get my first financed car. Recommend to visit LBM and Carmela for your car needs. Allan - . . .
Frenchy Paz was our salesman and he was the greatest we have dealt with lately. this was the third place that we have been to get a truck and he was by far the most understanding of what we wanted. we really appreciated the friendly demeanor he had and will definitely recommend him to other friends and families! Jeremy Beatty - . . .
we have been looking for two months for a Tahoe . so glad we came here to Lowery Brother's Motors ! our experience was great and we will be back for future service !